As Summer 2018 hits the home stretch, the TapInfluence Team has been hard at work rolling out platform updates to make your life a little easier. Check out our latest features. This week, you’ll notice the beta release of our new “Similar Influencers” tool. We know that finding enough influencers with exactly the right profiles can be challenging! 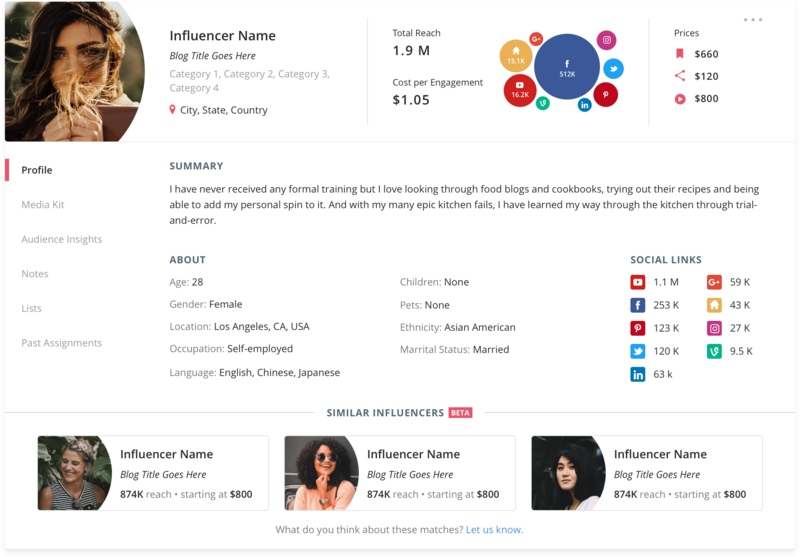 So, our Data Science team created an algorithm that scans an influencer’s blog, social media and profile content, personal attributes, categories, reach, and rates to suggest other influencers with similar characteristics. Test it out and let us know what you think. 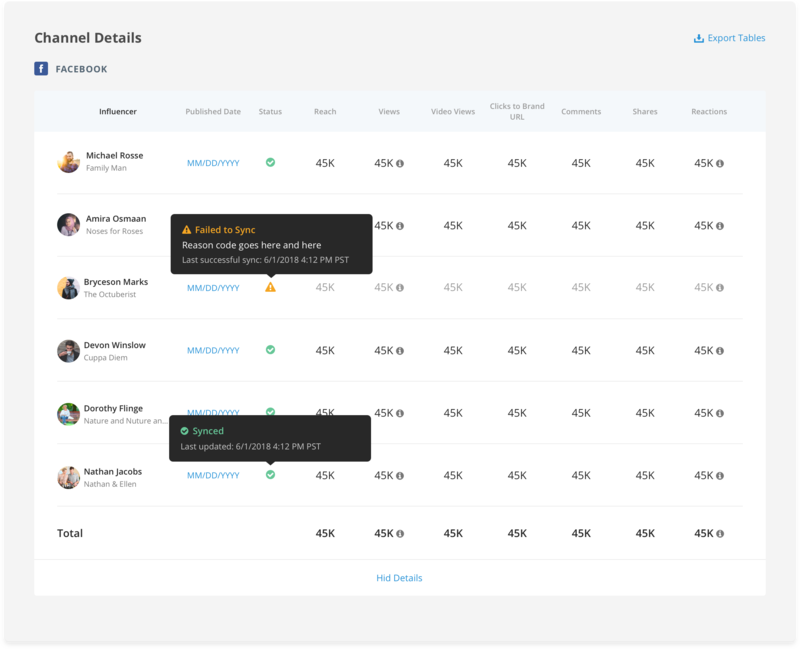 We are thrilled to let you know that TapInfluence has launched a customer-facing enterprise API as an upgrade feature. This means that customers can programmatically pull program, assignment and analytics data directly out of the platform, and aggregate it in a business intelligence tool or dashboard. As more of our customers are integrating influencer metrics with other digital analytics, this has been a much-requested feature from our customers. 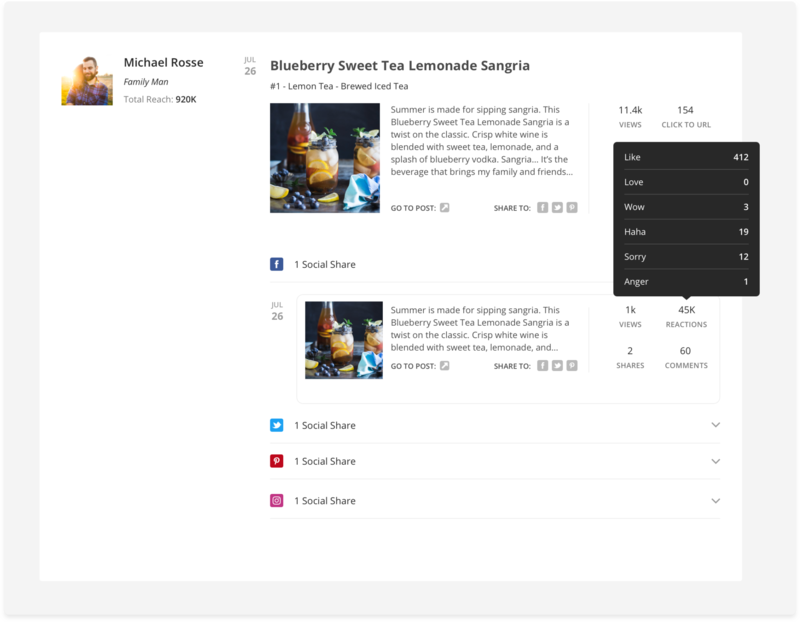 TapInfluence recently rolled out the ability to add notes to an influencer profile in Discovery. 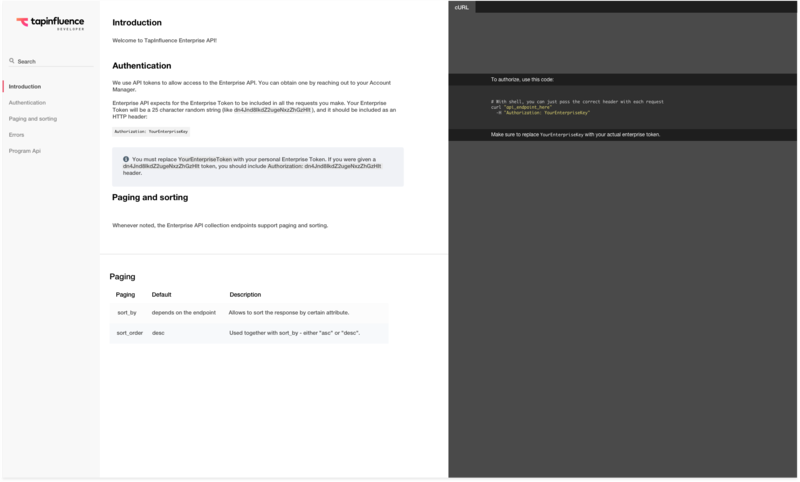 Upon feedback from our customers, we learned that users would also like to add notes to an influencer profile while in the programs tab when they are most likely to have feedback. So, we’ve added a shortcut in the influencers tab to make a note within the workflow of each program. We know that having the most accurate and recently updated analytics is key to assessing your program’s performance. We want to let you know the last time your analytics were fully updated and help you spot any lags immediately. We added a section to your Analytics to inform users the last time those metrics were updated successfully. There, you can see just how recently each data point was populated. Since our recent launch of true impression data for Facebook Posts, we have now added the breakdown of whether the impression came from paid ads, organic traffic, and viral ‘friend-shared’ impressions. We have now added the ability to view the types and number of reactions your Facebook Posts receive, including Like, Love, Wow, Haha, Sorry, and Anger. More and more of our marketers are inviting influencers to join TapInfluence. 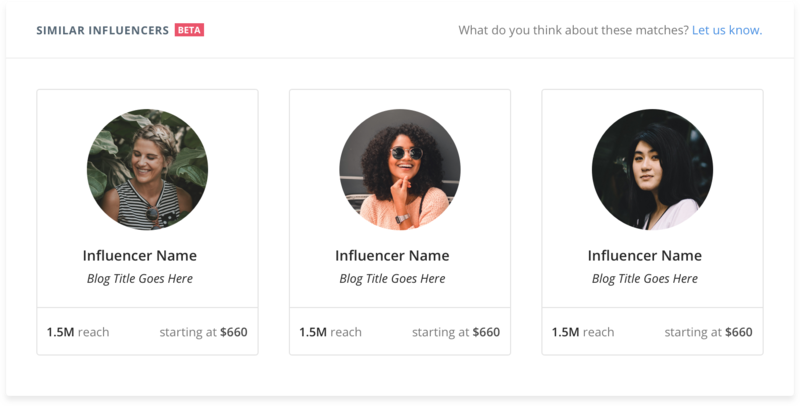 We decided to rebuild the influencer onboarding system not only to improve the user experience but also to capture more relevant and precise data points from the influencers. 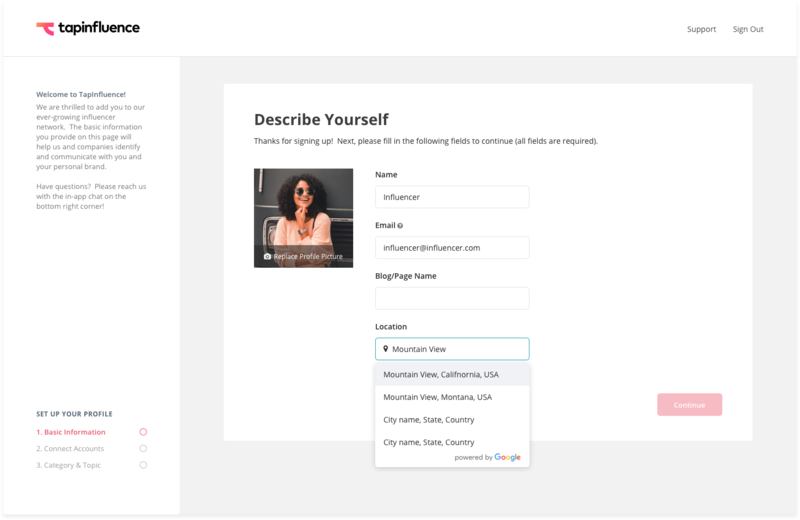 With a brand new look, a fully responsive layout, and improved location and rate recommendation engines, the new onboarding experience allows the influencers to seamlessly and quickly join the platform. 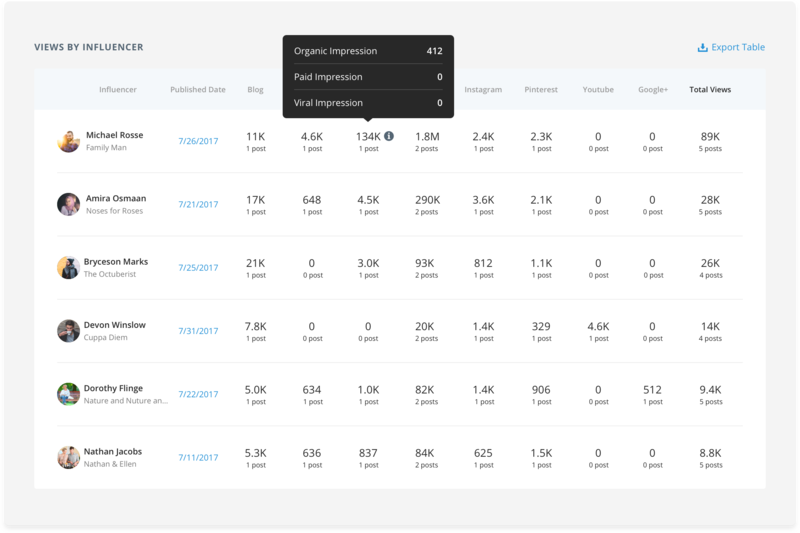 We pride ourselves on bringing you high-quality and most updated influencer performance data. We are able to do that via live token-based API connections. But when an influencer’s token expires, it can interrupt the flow of data. We upgraded our Social Connections System so that our influencers can easily tell which channels are connected and which tokens need to be refreshed with their help. 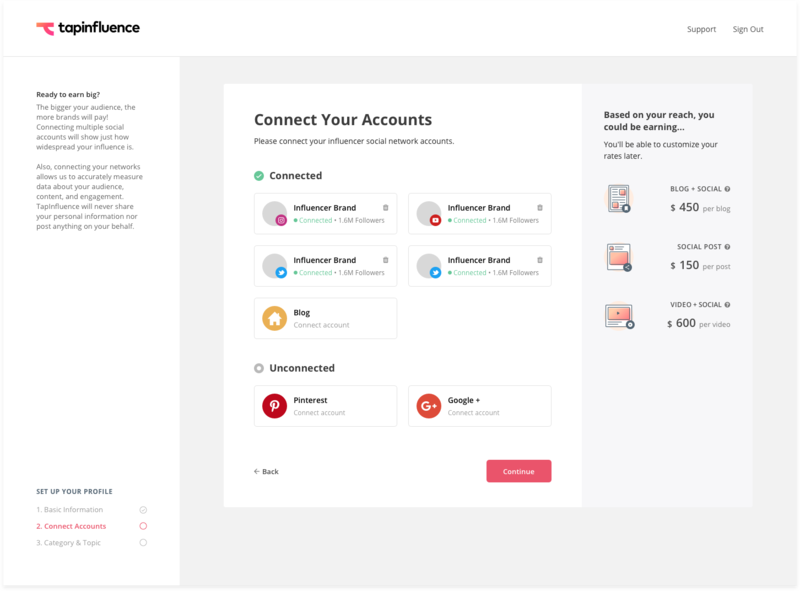 We’ve made it easier for our influencers to connect and monitor those connections, allowing the marketers to have even more consistent, reliable analytics.